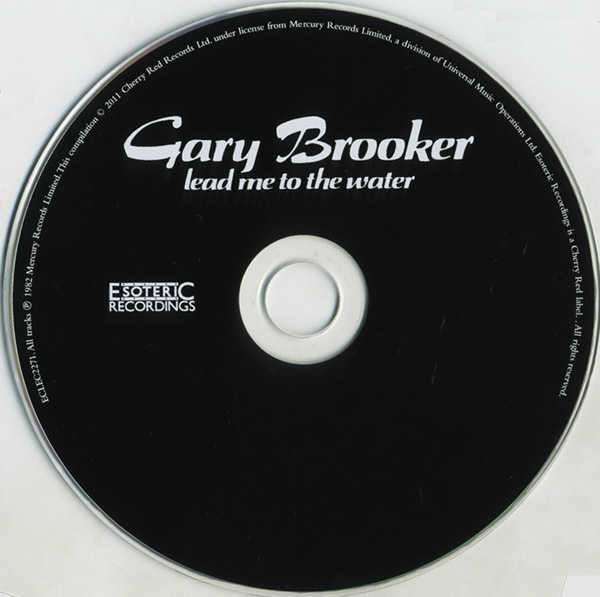 ESOTERIC RECORDINGS are proud to release a new remastered CD edition of the album “Lead Me to the Water”, the second solo album by Procol Harum’s keyboard player and songwriter Gary Brooker. 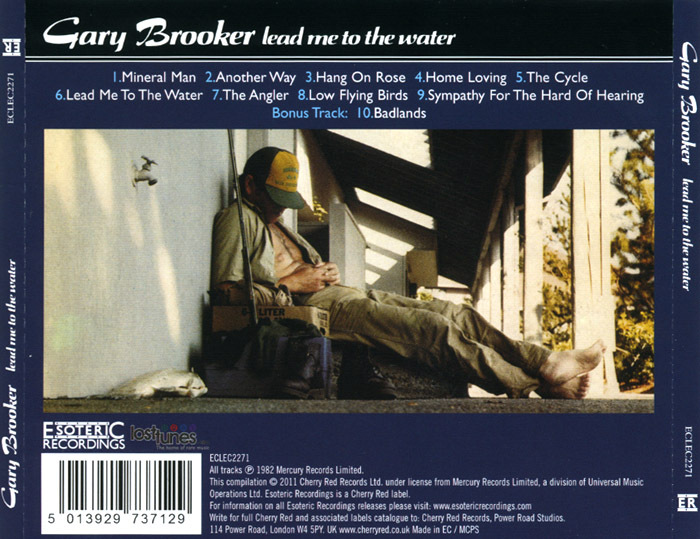 Recorded after Brooker had spent two years as a member of Eric Clapton’s band, the record was a fine effort which featured a host of Brooker’s friends as guests including Eric Clapton, George Harrison, Phil Collins, Albert Lee et al. 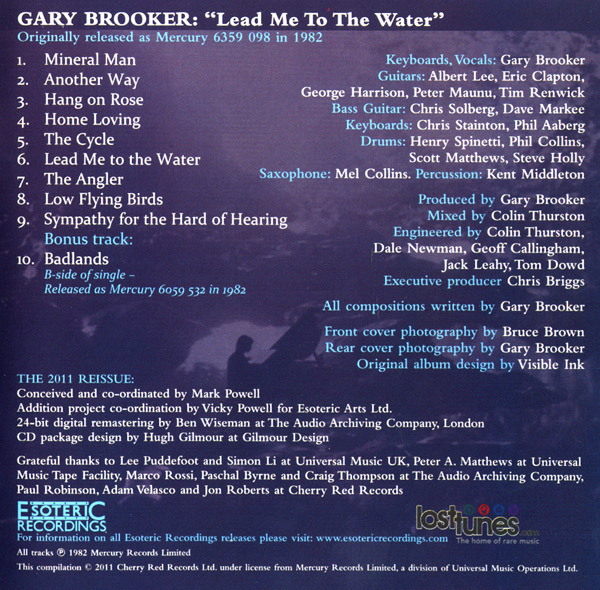 The album featured such magnificent material as Mineral Man, Sympathy [sic] for the Hard of Hearing and The Cycle. Unavailable for some years on CD, this Esoteric Recordings reissue has been newly remastered and includes a bonus track taken from a B-side of a single taken from the album.